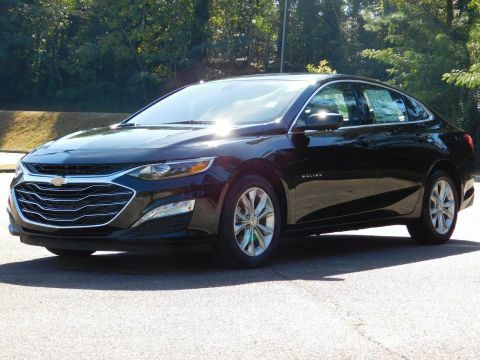 WIRELESS CHARGING FOR DEVICES, WHEELS, 17 (43.2 CM) ALUMINUM (STD), TRANSMISSION, 6-SPEED AUTOMATIC (STD), TIRES, P225/55R17 ALL-SEASON, BLACKWALL (STD), STEERING WHEEL, LEATHER-WRAPPED 3-SPOKE, SILVER ICE METALLIC, SHIFT KNOB, LEATHER-WRAPPED, SEATS, FRONT BUCKET (STD), REMOTE VEHICLE STARTER SYSTEM, POWER OUTLET, 120-VOLT located on the rear of center console. 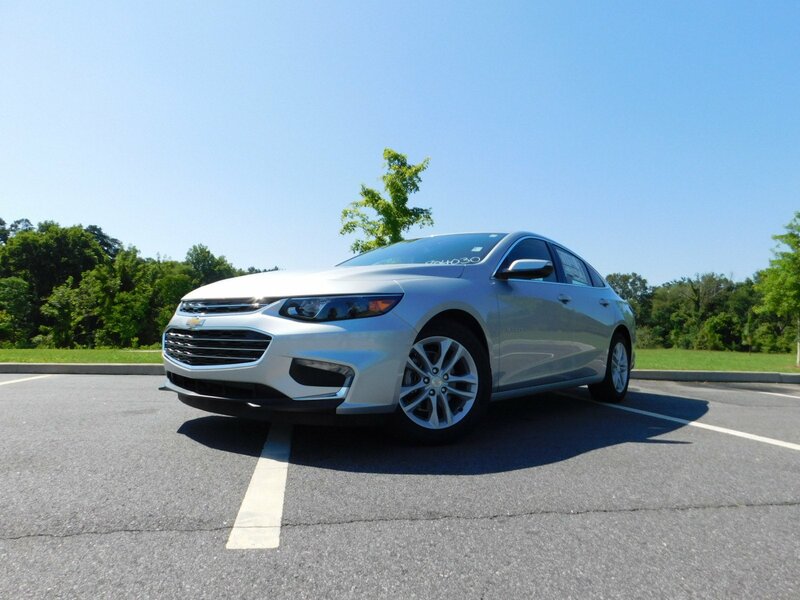 This Chevrolet Malibu has a powerful Turbocharged Gas I4 1.5L/91 engine powering this Automatic transmission. 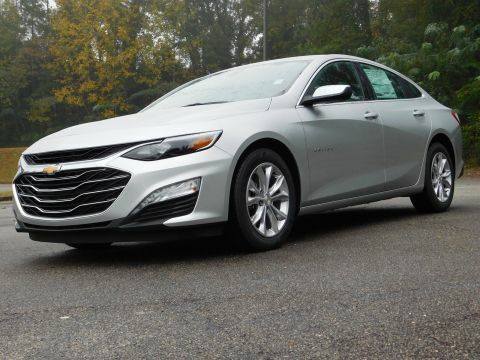 * Experience a Fully-Loaded Chevrolet Malibu LT *CONVENIENCE AND TECHNOLOGY PACKAGE includes (BTV) remote vehicle starter system, (DD8) inside rearview auto-dimming mirror, (KI6) 120-volt power outlet, (UDD) color Driver information Center, (IO5) Chevrolet MyLink Radio, (K4C) Wireless Charging, (USS) dual USB charging-only ports in rear of center console, (N34) leather-wrapped steering wheel and (VY7) leather-wrapped shift knob , MIRROR, INSIDE REARVIEW AUTO-DIMMING, LT PREFERRED EQUIPMENT GROUP Includes Standard Equipment, LPO, WHEEL LOCKS, LICENSE PLATE BRACKET, FRONT, JET BLACK, PREMIUM CLOTH SEAT TRIM, ENGINE, 1.5L TURBO DOHC 4-CYLINDER DI with Variable Valve Timing (VVT) (160 hp [119.3 kW] @ 5700 rpm, 184 lb-ft torque [248.4 N-m] @ 2500-3000 rpm) (STD), DRIVER INFORMATION CENTER, COLOR DISPLAY includes trip/fuel information, vehicle information and vehicle messages, AUDIO SYSTEM, CHEVROLET MYLINK RADIO WITH 8 DIAGONAL COLOR TOUCH-SCREEN, AM/FM STEREO with seek-and-scan and digital clock, includes Bluetooth streaming audio for music and select phones; voice-activated technology for radio and phone; featuring Android Auto and Apple CarPlay capability for compatible phone, AUDIO SYSTEM FEATURE, USB CHARGING-ONLY PORTS, DUAL located in the rear of the center console, Windows, power with Express-Down on all, Window, power with driver Express-Up/Down, Wheel, spare, 16 (40.6 cm) steel, Warning indicator, front passenger safety belt, Visors, driver and front passenger illuminated vanity mirrors, covered, Vent, rear console, Trunk latch, safety, manual release, Trunk cargo anchors, Tool kit, road emergency, Tire, compact spare, T125/80R16. 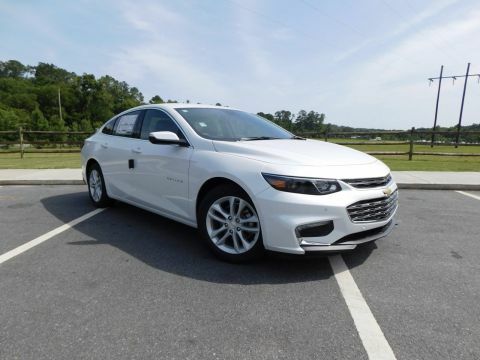 * Visit Us Today *For a must-own Chevrolet Malibu come see us at Youmans Chevrolet, 2020 Riverside Dr, Macon, GA 31204. Just minutes away!